The first school week of the "New Year" is over and I survived it. I will admit that this week made me dog tired. When you've been maxin' and relaxin' for 16 days on and off the couch, it's hard to get back in the groove. I was very happy to see my precious Firsties on Tuesday. So excited that we all ate lunch together in our classroom. No movie playing, just us and conversations. They were so eager to tell me their stories about their winter break. 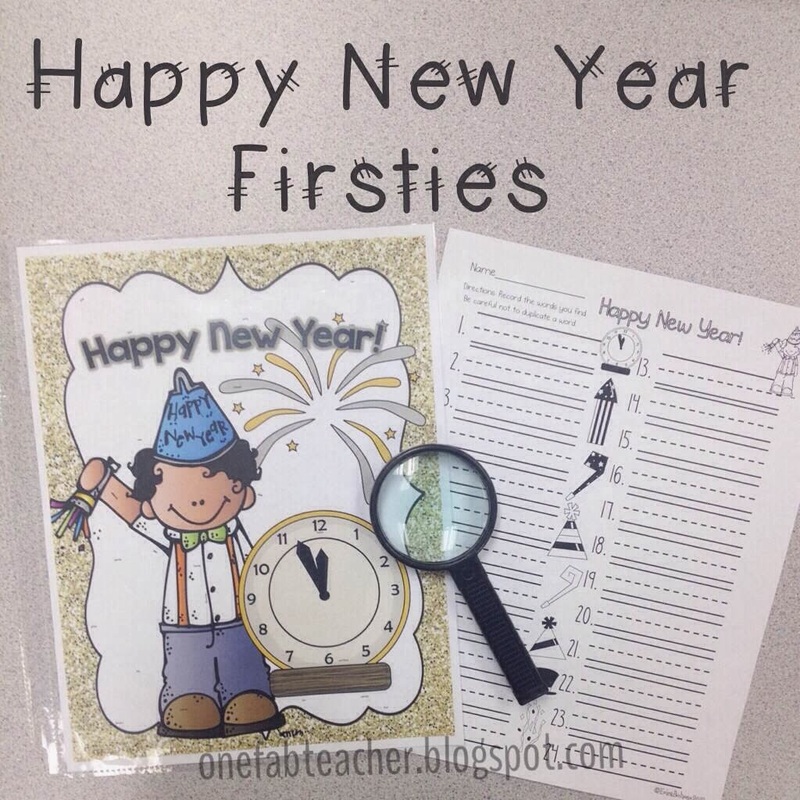 I wanted to ease into the week and not pressure myself or them so we started of with my sweet blogging friend Erica Bohrer's Happy New Year packet. I just simply LOVE her stuff. I mean let me be honest my room is decorated with the majority of her creations. Anyway one of the things I had them do as morning work was search for "New Year" words with a magnifying glass it was so fun and super cute!! As you know I'm so into photos and taking pictures. I'm a visual learner. So enjoy the pictures of what my Firsties and I were up to this week. This is the cuteness I was talking about. 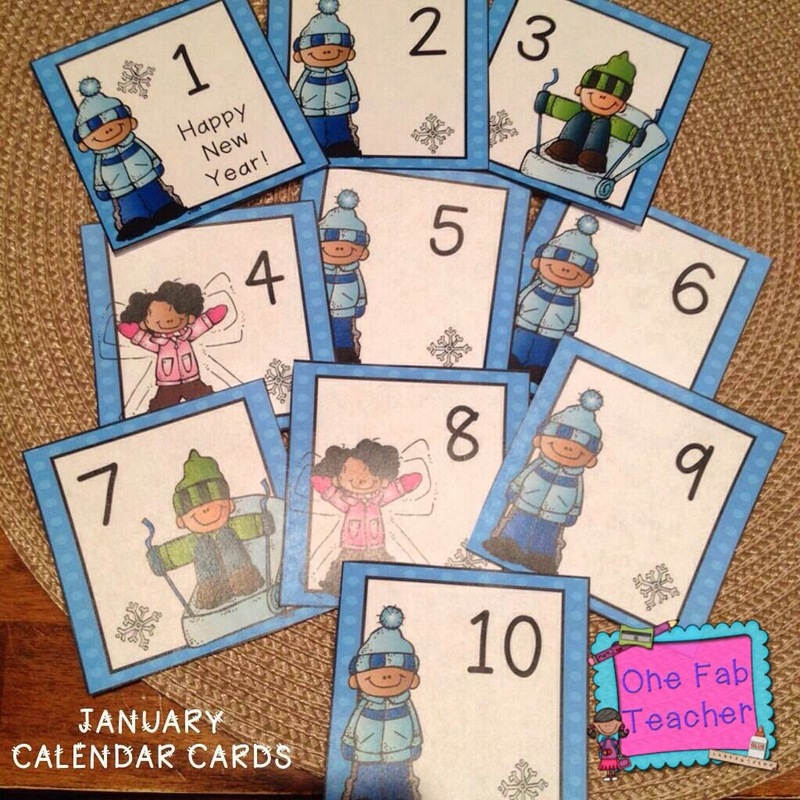 I had this on their desks the first morning back to school of 2014! Thank you Erica! I had to change our calendar board with these cute new babies. These can be found in my teachers pay teachers store. Just click on the picture and it will redirect you right to them. I have February ones available too. This has always been a favorite for me after we come back from winter break. 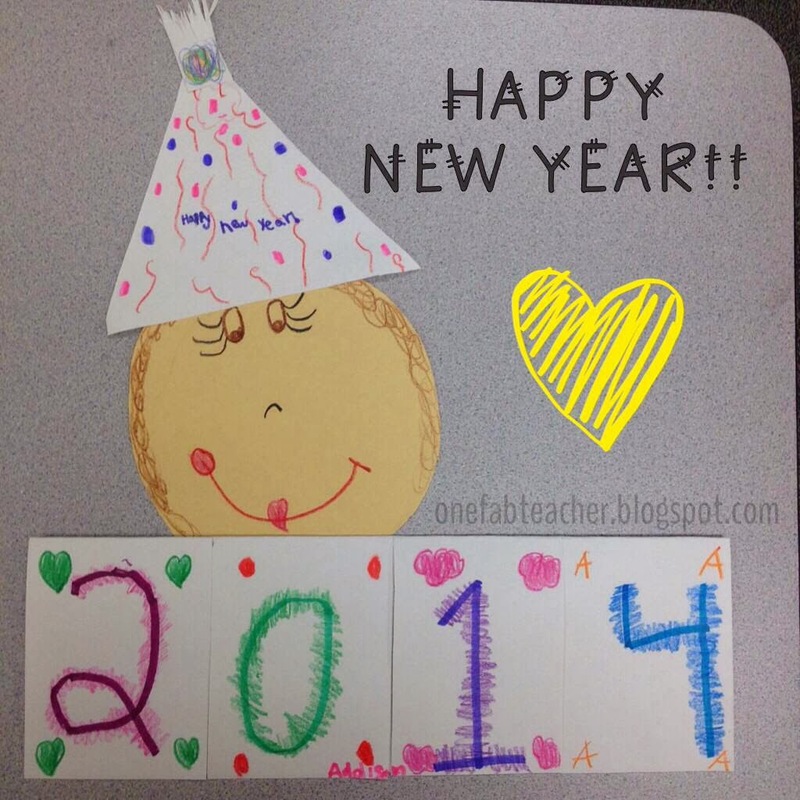 So each child creates their own "New Year" flipbook and under each flap they write a goal they want to achieve. Some examples of what my Firsties wrote were, "I want to be a better writer." "I want to be nicer to my brother or sister." "I want to be a better listener." Just simply cute! I read the poem, "Five Little Snowmen." My kiddos loved it. 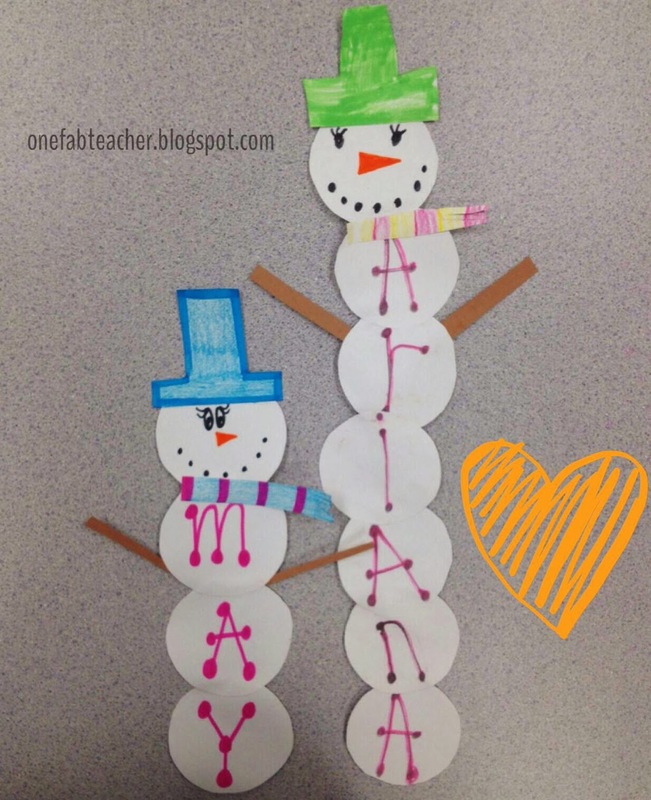 We created name snowmen and they turned out SUPER DUPER cute! 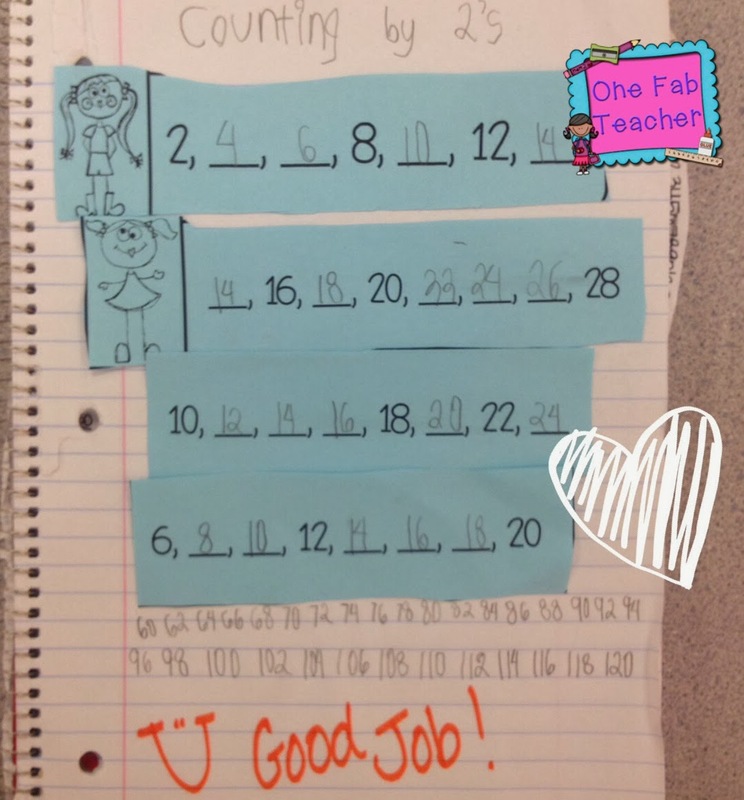 My sweet blogging buddy Jessica at The Teacher Talk 22 creates some FABULOUS packets. She is really in my top 5 of favorite creators. So I got her packet its called Interactive Math Journal Fun! 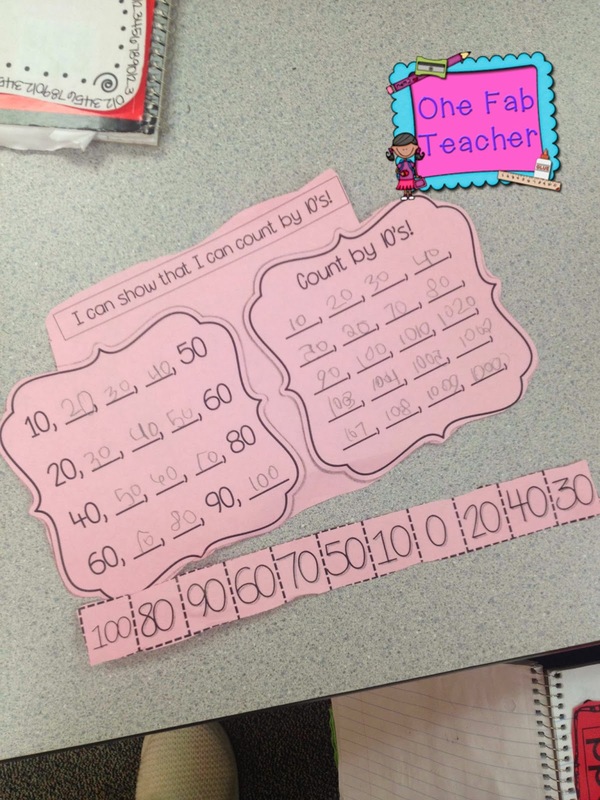 This packet has plenty of review fun for your kiddos. My Firsties have been enjoying them. I can't wait to you more next week. I like to check over their work right away and show them some love with Mr. SKetch Scented Markers. 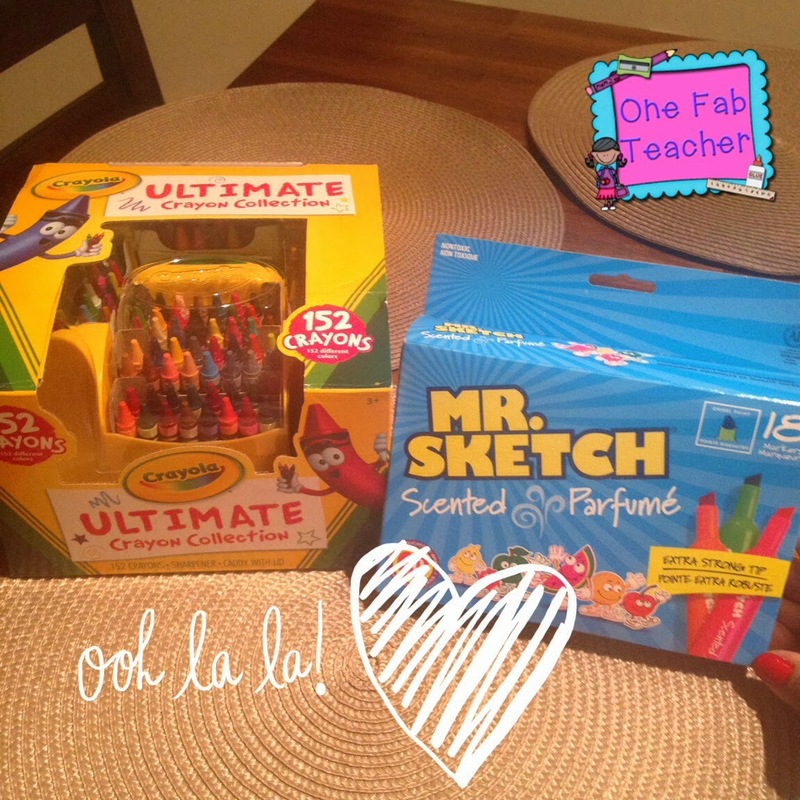 So I was able to pick up some of my favorite markers and a nice load of crayons to continue creating my anchor charts. 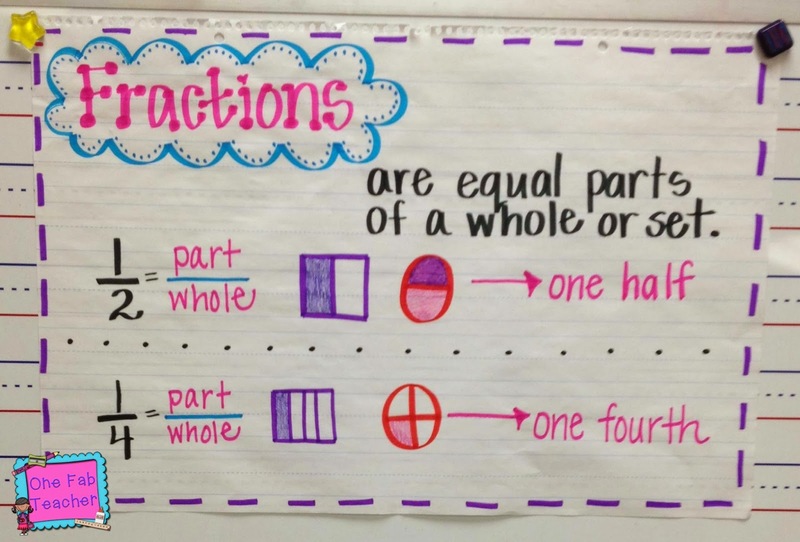 We finished up fractions this week and we're moving on to measurement for the next couple of weeks. As always thank you for taking the time to read my blog. It makes my heart super happy. Have a FABULOUS rest of the weekend and THANK YOU for always being so kind and supportive! It really means a lot.